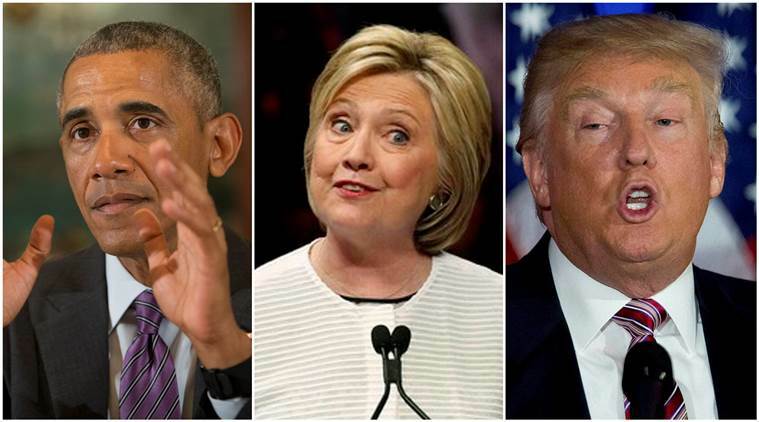 US President Barack Obama has advised Republican presidential nominee Donald Trump and his Democrat rival Hillary Clinton to start acting like a President. US President Barack Obama has advised Republican presidential nominee Donald Trump and his Democrat rival Hillary Clinton to start acting like a president, as they have now started receiving classified briefings. “What I will say is that they (Clinton and Trump) have been told these are classified briefings and if they want to be president, they’ve got to start acting like president. That means being able to receive these briefings and not spread them around,” Obama said on Friday at a news conference. Asked if he was concerned that Trump will be receiving security briefings about ISIS and other sensitive issues, Obama said the process is done as per “tradition and law”. He said the presidential nominees have to get security briefings because whoever elected must be prepared and not start from scratch. “As far as Mr Trump, we are going to go by the law, which is that both tradition and the law that if somebody is a nominee, the Republican nominee for president, they need to get a security briefing so that if they were to win they are not starting from scratch in terms of being prepared for this office,” he said. “I’m not going to get into details of the nature of the security briefings that both candidates receive,” he added. Under the US laws, it is customary that the official nominees of both parties are given classified briefings after their convention.